The Stamina ATS 1405 Air Rower is an affordable beginner’s model that offers the effectiveness of wind resistance training, a durable frame, and a folding design for easy and convenient storage. The multi-function fitness monitor displays workout speed, distance, time, and the amount of calories burned. Frame Length/Height: 78.5" x 31.5"
The Stamina 35-1405 ATS Air Rower features wind resistance from an air fan that varies in resistance depending on how fast your row. To increase the intensity of the workout, simply row faster; to decrease the resistance, row more slowly. This kind of self-regulating resistance provides an effective cardio workout at a pace you can handle. The size of frame and length of the pull cord can be comfortably used by any size user of any fitness level. Other features on the rower include large footplates with adjustable nylon straps, a sturdy steel frame that folds for easy storage, floor protectors to prevent skidding, an angled seat rail for easy seat return, a padded and molded seat that slides on ball bearing rollers, and a chrome rail for smooth sliding. This model uses a metal rowing chain for added durability. 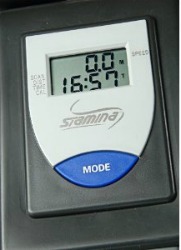 The only real problem with the $399 Stamina ATS 1405 Air Rower is that the chain pulley design is suspect. Some reviewers indicate that the chain can get caught up in the wheel house if it slides off the glides. Otherwise, this is a good rower. If you don’t want to take a chance of this happening to you, we suggest you go with the Stamina Air rower that has a web fabric pulley and a slightly smaller frame. 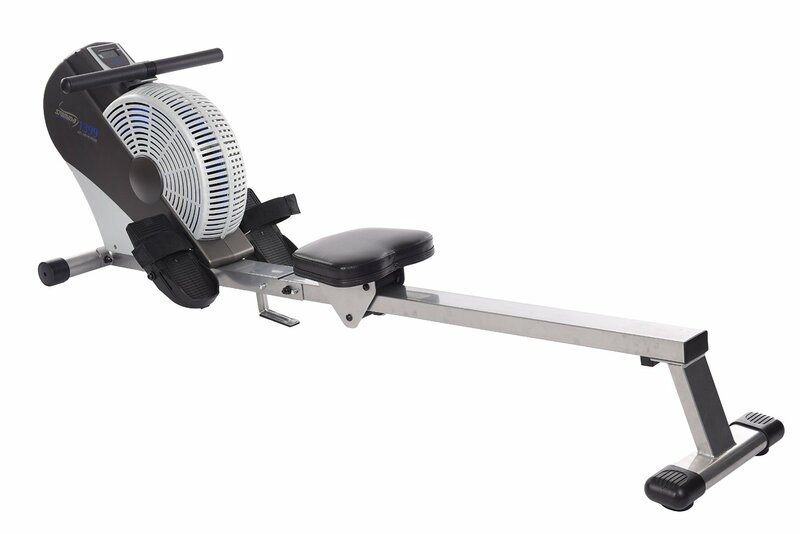 That cheaper $299 model seems to be the standout of the company’s line of cheap rowers.